We help our clients design and live their ideal lives by getting their entire financial house in order and keeping it that way. Our team’s mission is to help clients build and preserve wealth. We take a holistic, comprehensive wealth management approach when working toward this objective. Our practice is based on providing a high level of service through continuous education, communication and strategic planning progress. Our investment philosophy aligns client goals and objectives based on timeframes, experience and risk tolerance. We provide continuous tactical allocation adjustments driven by market changes, economic strengths or weaknesses, and interest rate cycles. We increase exposure in markets when out-performance is expected, and we decrease exposure when poor performance is expected. Each investment portfolio is tailored and customized to each individual’s needs. The Discovery Meeting – How can we help you achieve what is important to you? The Financial Inventory - We confidentially gather your financial and estate planning information in order to evaluate your current situation. The Interactive Design – We look at the realities and possibilities of how your goals can be achieved, and discuss the tools and strategies that could build and protect your financial house. The Master Blueprint – We identify the most appropriate financial steps to maximize your resources for the construction of your financial house. The Strategic Construction – We outline a strategic timeline for selecting and implementing investments and/or insurance, and we work with your tax and legal advisors to construct and reinforce your financial house. The Lifetime Client Experience - Through our concierge service model, we will be with you each step of the way to help keep your financial house in perfect order – the way you want it. Lanny Curnes has been providing financial guidance for over 30 years. He has been very successful at helping his clients build financial freedom, protect it during their lifetimes, and preserve it for future generations. 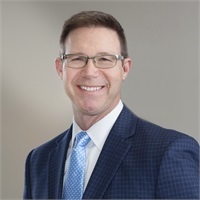 Lanny has been a qualifying member of the industry’s most prestigious association for financial professionals – the Million Dollar Round Table (MDRT) since 1992. MDRT membership is achieved by less than 1% of financial representatives worldwide. MDRT members demonstrate exceptional professional knowledge, strict ethical conduct, outstanding client service, and are considered to the best in the world at what they do. He was recently inducted into the prestigious MetLife Hall of Fame in 2017 at his former firm. This significant honor was bestowed to Lanny for his years of work building lasting relationships with his clients. This award is only for agents who show supreme dedication and professionalism in their field.